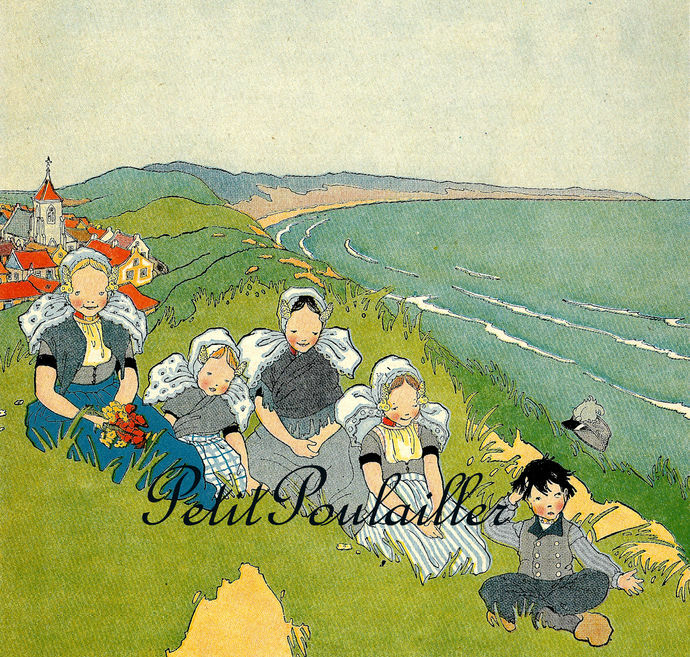 Here is a charming Miska Petersham lithograph, gleaned from a 1927 collection of children's poems, stories, fables, songs, and art from Holland. 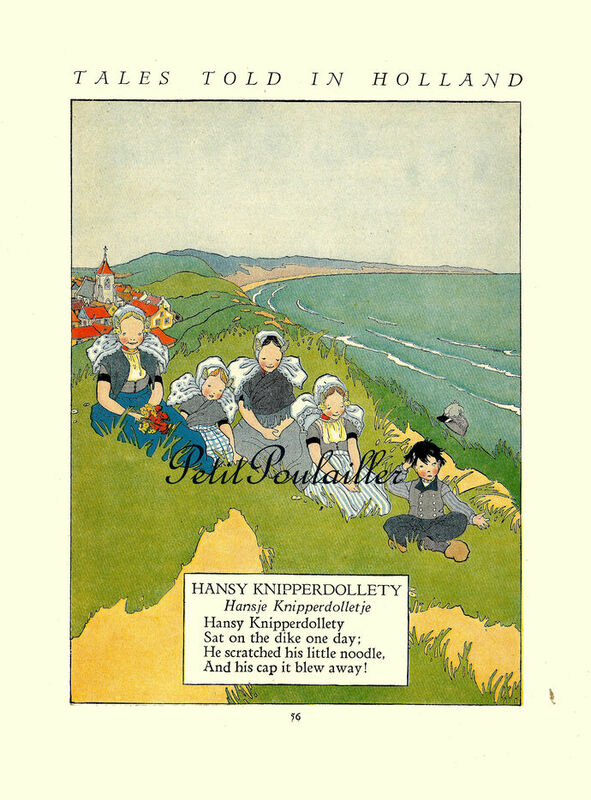 The first illustration features a darling and wonderfully frame-worthy lithograph of Dutch children on a green, green ocean-side hill along with a silly poem about little Hansy and his cap. The color-washed image will be wonderful for your art, crayon-colored and shabbily cottage sweet image of the Dutch kiddoes. 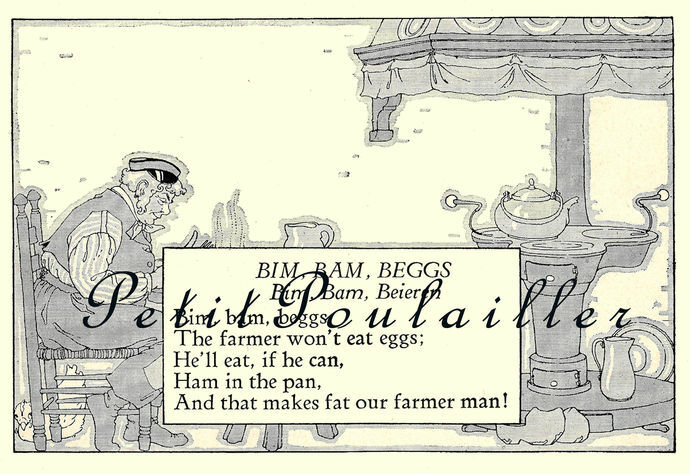 The nursery rhyme is presented 'in text'. 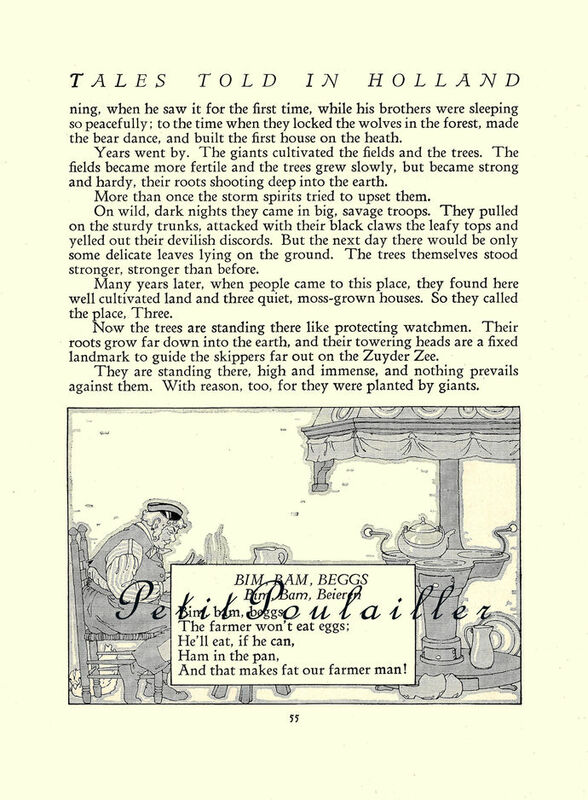 On the reverse, a black and white illustration about a farmer and his breakfast. 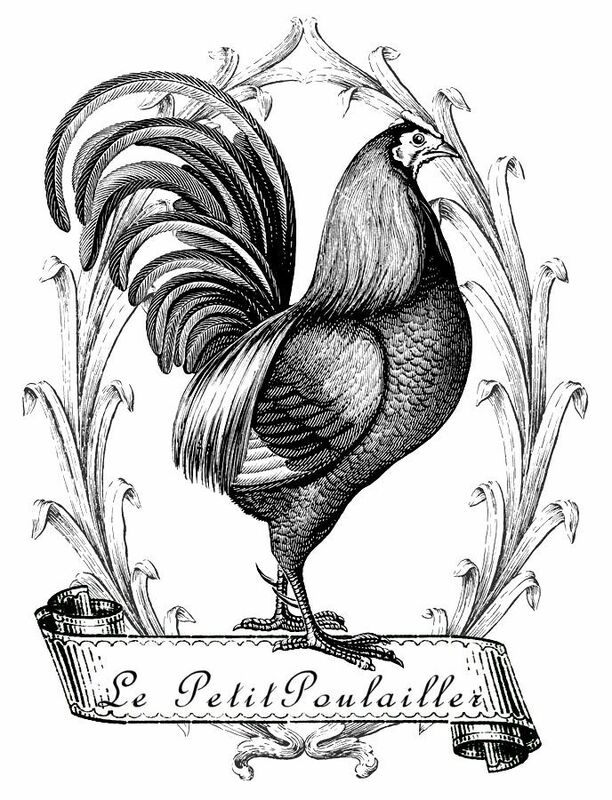 Petersham's work is charmingly simple and remains timeless. The heavy paper measures 8" x 10.875" (20x28 cm), and is smooth and clear, showing little tanning. The edges are clean and smooth, the lithography is strong and clear, and the colors are sweet and bright. There are no folds, tears, mark, or creases. The image will be a delightful subject to frame and gift to a new mother for the little one's nursery or perhaps for your own little one's room. Wonderful for your art - card and tag creations, scrap-book page making, collage.